Parents of school-aged children and tots have a big job to do this often drizzly time of year. It’s summer camp planning time! We're here to help inspire your search with suggestions for some great camps for all types and tastes. For an even wider range of camps, be sure to check out our camps portal, which is jam-packed with a wide variety of camps, as well our 2017 Golden Teddy Award winners in the camps and classes category and specific guides to horse camps, STEM camps, language camps, theater camps, one-of-a-kind camps, camps for kids with special needs and more. And don't forget to check your local parks and rec department, YMCA or Boys and Girls Club branch, which also offer a wide range of affordable summer camps. Located at Bastyr University's campus in Kenmore, Northwest Soccer Camps offers a selection of day and overnight camps for players ages 8 to 17. NSC coaches are the real deal, including Paul Barron – longtime English Premier League Goalkeeper, trainer and curriculum expert and Marcus Hahnemann longtime EPL and Seattle Sounders FC professional goalkeeper. Cost: Overnight camps start at $750, and full-day day camps start at $350 per week. With locations in Redmond, Issaquah, Mill Creek and Seattle's Magnuson Park, Arena Sports offers popular summer camps with one-day options that parents especially like (you can sign up at the last minute) and a combo of activities that focus on games, skills and bouncy-house time (for the indoor camps). Kids from ages 3–5 can attend for half day (8 a.m.–noon); kids ages 6–12 can attend for full day (until 4 p.m.). Cost: Drop-in rate is $35 for half day, $59 for full day, with various discounts available for weekly rates and passes. They also offer a free trial class. SJCC runs a variety of popular summer camps at its Mercer Island campus, but is particularly known for its sports camp, which gives kids a chance to learn all kinds of games, techniques and sports (including swimming! ), with an emphasis on teamwork and sportsmanship. Also check out Camp Kef (Fun), Performing Arts Camp, Teva Camp (Nature) and 40 additional specialty camps. Cost: Camps run from 9:30 a.m.–4 p.m. and starts at $320 a week for non-members (discount for members). Skyhawks Sports offers 12 different sports camps and clinics for kids ages 3 to 12 in locations all around the Sound. Some camps specialize in a single sport, such as lacrosse; others offer a mix of sports, such as baseball, basketball and soccer covered in one camp. Times and prices vary; use the website search engine to find a location near you. 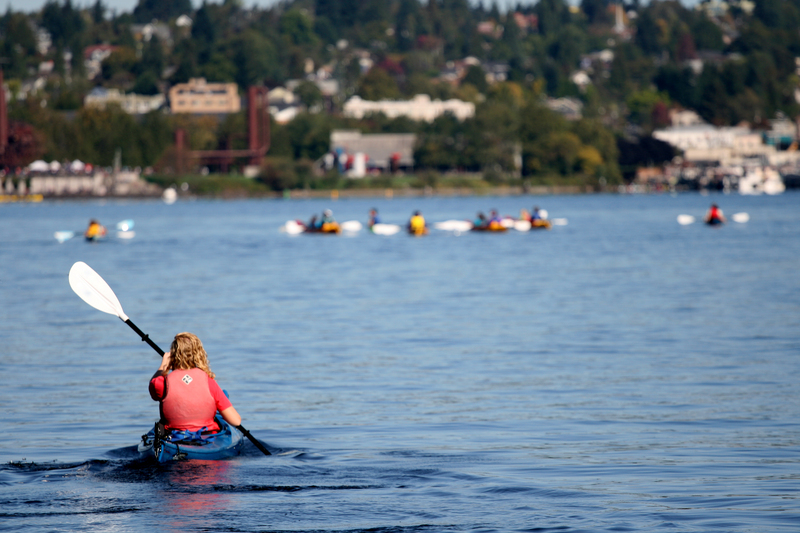 On South Lake Union, Moss Bay connects kids with the water through kayaking, sailing and paddle-boarding instruction. Week-long camps (full- or half-day) run all summer on Lake Union for kids ages 6 to 12, and no prior experience is required. Cost: Camps run $350 per full-day week. Safe N Sound offers up a whole summer of fun camps for young water lovers. Week-long day camps for ages 6 to 10 include daily private swim lessons for each camper, plus play time in the water, crafts, field trips and more. Cost: The cost is $465 for a week-long camp. This camp aims to get kids moving on two wheels via half- and full-day camps for ages 4 to 12 (plus a preschool program for kids ages 2.5 to 3.5). Parents choose camps according the skill level and age of their camper to learn safe practices for riding on the road. Campers provide their own bikes and helmets. Pedalheads offers camps at a number of Seattle and Eastside locations. Cost: Camps cost $229/week for the half-day program, and $429/week for the full-day program. This youth sports program aims to keep the focus on fun and skill building for kids, rather than on competition. Check a specific location for information on camps offered and costs. Drum School camps allow aspiring musicians of any skill level, ages 7 to 17, to work collaboratively as a band and finish the week with a rockin’ live performance for family and friends. Cost: Check the website for the latest information on summer camps. Illumination Learning Studio in North Seattle offers a variety of arts-focused programs, including piano and guitar instruction, performing and fine arts classes, and themed summer camps. Cost: Week-long camps cost $355; discount available for students already enrolled in ILS's programs and for early registration by April 1. 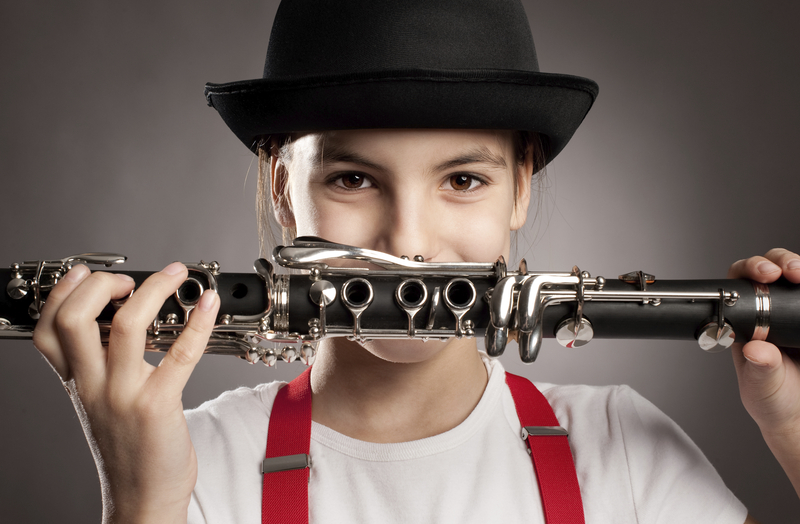 These camps include voice, jazz, piano, composition and even a Musical Trip to the Zoo. Camps cater to various skill levels and several camps are designed for kids with special needs. Offerings accommodate campers as young as 3 (with caregiver) and up to age 18. Cost: Prices range from $75 to $320 per week, depending on the number of hours and age group. Off the Wall is all about making music fun, hosts rock band camp weeks throughout the summer where kids, among other things, get to name their band, get private lessons, plan the performance, record music and more. Camp is for ages 8 to 15; and runs from 9 a.m.–2 p.m. during camp weeks. Cost: $397 per week; discount for registration prior to April 18. With a new location in Lynnwood, School of Rock allows young rockers join a band for a week. With themes ranging from grunge to the Beatles, kids ages 8 to 18 learn about live performance while studying with professionals, learning songwriting and more. Week-long camps run all summer; there is also a two-day Rookie camp for the littlest rockers, kids entering grades 1 and 2 (ages 6–8). Cost: 5-day and 2-day camps range from $130 to $450. Seattle Opera offers several camps in July for budding vocalists and theater buffs, ages 6 to 18. Cost: camps range from $185 to $650, depending on time and length. Offered for kids in grades 2 to 7, Northwest Girlchoir's camp is held in late July, and includes choral singing, voice classes, instrument exploration, as well as music video production and dance. Cost: $325; camp runs from 9:30 a.m.–3:30 p.m. (before- and after-care available). Kids at SCT camps work with professional artists and can take a wide range of classes, from “Magic Doorway” for little kids, to Acting, Physical Comedy, Backstage and Improv for bigger kids. Cost: Day camps range from $180–$390 and are available to kids ages 3.5 to 21. Studio East offers a range of one- and two-week camps for ages 4 on through high school. Camps for younger children focus on creative dramatics and script creation; older campers rehearse a theatrical production or focus on specific theater skills. Cost: Camp times and price vary depending on age. Camps for grades 1 to 2, for example, start at $275 per week and meet from 9:15 a.m.–2:15 p.m. Extended care is available for selected camps. Save 10 percent on the cost if you register before March 31. In Seattle's U-District, young thespians ages 5 to 17 explore acting, singing, and dancing in camps offered by Broadway Bound. Campers get to “break a leg” rehearsing and performing hits such as "Moana," "Frozen" and "The Sound of Music." Cost: One-week camps start at $400; two-week camps (for older kids) are around $800. From flying trapeze to unicycle, the circus arts activities in SANCA's summer camps engage each child's joyous creativity in physical movement in a fun, safe, and progressive learning environment. No prior experience is needed, and every week-long camp culminates in a showcase for families and friends. Half-day specialty camps available for ages 9 and up: acrobatics; balance & object manipulation; aerial; clowning; and flying trapeze. Cost: Prices vary by camp type and length; check the website for details. There are discounts for early enrollment and options to pay in two installments. 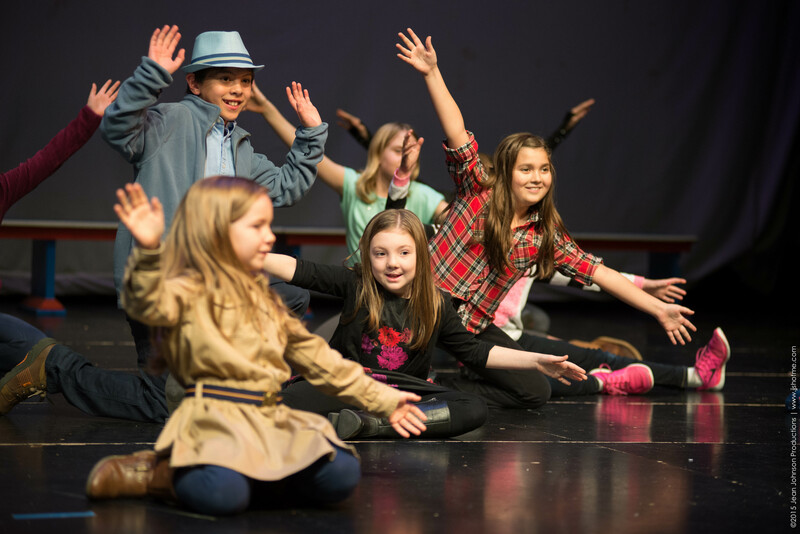 Located in Everett and Issaquah, Village Theatre welcomes kids in pre-K through grade 12 to drama and performance camps with varying themes. Cost: Tuition is specific to each camp; check the website for details. 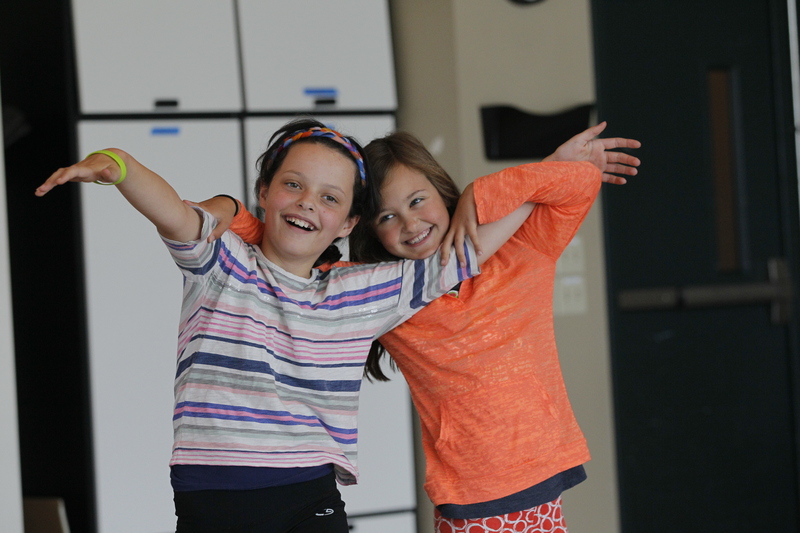 Wedgwood Drama Studio offers a number of popular, outdoor theater camps in northeast Seattle, ranging from a summer lab theater camp for grades 6 to 12; theater-in-the-park camps for kindergarden through sixth grade; and drama camp for preschoolers. Cost: Camps for kids kindergarten-age and above run from 9 a.m.–3 p.m. and costs $265; preschoolers attend from 9 a.m.–1 p.m. and pay $144 per week. Seattle's Performers also offers camps in several locations in northeast Seattle (including one park) for separate age groups ranging from kindergarten through grade 8. Each week follows a different theme, such as "Harry Potter" and "Star Wars." Cost: Camps range from $150 to $500. Olympia Family Theater offers a variety of camps for kids ages 5 to 18. Themes for different age groups include Pigge & Pigeon, Curious George and Acting & Directing. Cost: $55 to $195 per session; discounts available for siblings and early registration. Woodland Park Zoo offers a wide range of popular summer camps for ages 3 to 14. Kinder campers (ages 3–5) explore the zoo with a different theme focus such as colors, numbers, families and more; Zooper Campers (ages 4–9) explore one of two different themes (Animal Olympics or Kingdom of Animals); Discovery Days (ages 5–7 years) is offered in partnership with Seattle Children's Theatre; and Zoo U (ages 10–14) offers older kids the opportunity to study more advanced subjects. Cost: Younger kids' camps start at $215 per week for 9 a.m.–noon; $360 for 9 a.m.–4 p.m.; Zoo U is $380 for 9 a.m.–4 p.m. Kids ages 6 to 10 join an adventurous quest, searching for the mythical creatures of many cultures, such as merpeople, treetalkers and hidden realms, using these quests to explore and observe nature through hands-on activities. Terra-Forma offers other week-long day camps with various adventure themes, both in north and south Seattle. Cost: $425 per week; camp meets 9 a.m. to 4 p.m.
Wildnerness Awareness School offers a range of popular summer camps that teach kids experiential knowledge of plants, mammals, tracking, birds and survival skills, including day camps for ages 4 to 12 and overnight camps for 11 to18. Camps take place in Seattle, Bellevue and several surrounding locales. Cost: Day camps cost $295 for half-day weeks and $395 full-day weeks. Overnight camps start at $785 per session and teen expeditions cost $985. 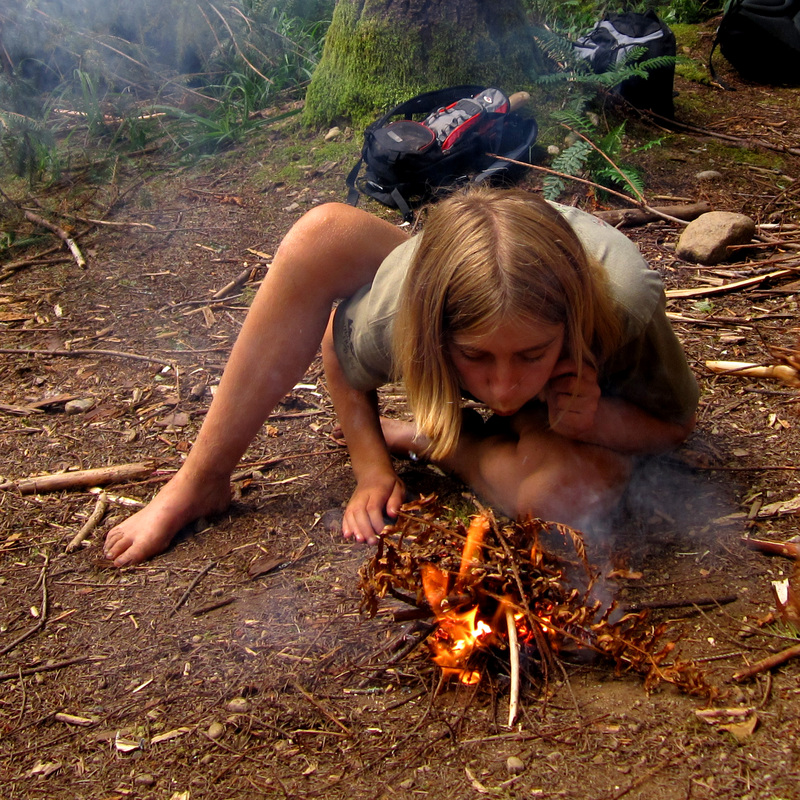 Wolf Camps teach kids to survive and thrive in the wild outdoors, from learning to use fire safely, identifying important edible and medicinal plants, and cooking in nature. Overnight camps take older campers on adventures farther afield. Cost: Day camps start at $275 per week and overnight camps start at $685. Discounts available for early registration, registering for multiple camps and for siblings and referrals. A beloved organic farm and education center in Carnation, Oxbow offers summer farm camps for kids ages 4 to 12, with volunteer leadership opportunities for teens. Campers choose between two types of camps ("Farm and Forest Homes" and "Dig In") that allow them to explore farm and forest habitats, practice being good stewards of the land, taste and harvest fresh veggies and learn all about where food comes from on Oxbow’s organic Kids’ Farm. Cost: Camps are $240 for half day (10 a.m.–2 p.m., one week only) and $310 for full-day (9 a.m.–3 p.m.). Tilth Alliance (formerly Seattle Tilth) offers camps that get kids ages 3 to 14 working and playing in the garden. Campers explore the Rainier Beach Urban Farm in south Seattle or the garden at the Good Shepherd Center in Wallingford and plant seeds and learn growing things. Plus, they’ll eat tasty snacks straight from the source. Other hands-on Tilth camps feature topics such as seeds, bugs, worms, dirt — all the essentials of a good garden. 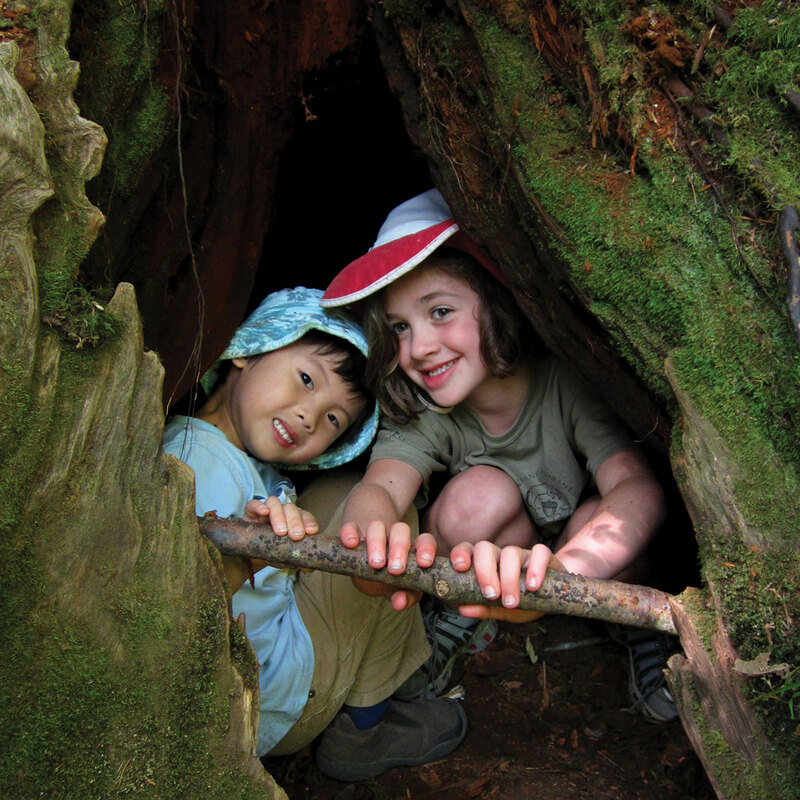 With camps taking place at a gorgeous reserve on Bainbridge Island (255 acres of forest rails and wetlands) and at Woodinville's Brightwater Center, IslandWood offers summer camps run by experienced environmental educations. Each week is a different theme. Cost: Pre-K and kindergarten camps (Bainbridge location) run three hours (9 a.m.–noon or 1–3:30 p.m.) and cost $200; camps for elementary and middle-school kids (through grade9) run from 9 a.m.–3:30 p.m. and start at $256. Seattle Art Museum offers three weeks of camp for kids in grades 1 to 5. Each week has its own theme to guide activities and exploration of SAM indoor and outdoor spaces. Art exploration may include time capsules, mixed media projects, sculptures, costume-making and more. Cost: Pricing starts at $340 per week; discount for members. Note: SAM Camp for 2018 is already sold out. You can email to be added to the wait list. 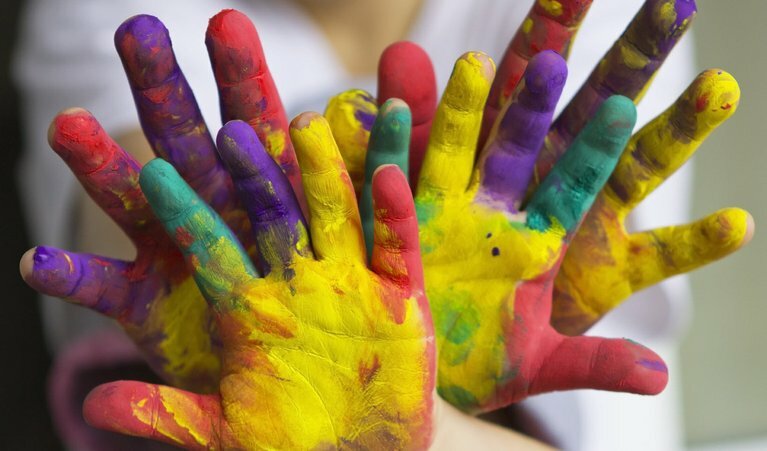 Paint Away's Kids' Summer Art Camp offers plenty of time for campers ages 6 to 13 to practice painting on ceramics, as well as the opportunity to delve into other artistic pursuits such as glass-fusing and canvas painting. Cost: Week-long camps cost $280 and meet 10 a.m.–2:30 p.m. Thrive's two Seattle locations offer camps that meet three hours a day, Monday to Thursday. Campers learn different drawing and painting techniques and engage in skillful craft projects centered on a specific theme. Cost: Camp costs $250 for a 4-day week. Located in a storefront in Seattle's Ravenna neighborhood, Roaring Mouse offers a variety of creative camps including a "mini-palette camps" for kids ages 4 to 8 and an "art ninja" camp for kids ages 2.5 to 8. Cost: Camps start at $140 for 3 days; 9 a.m.–noon or 1–4 p.m. 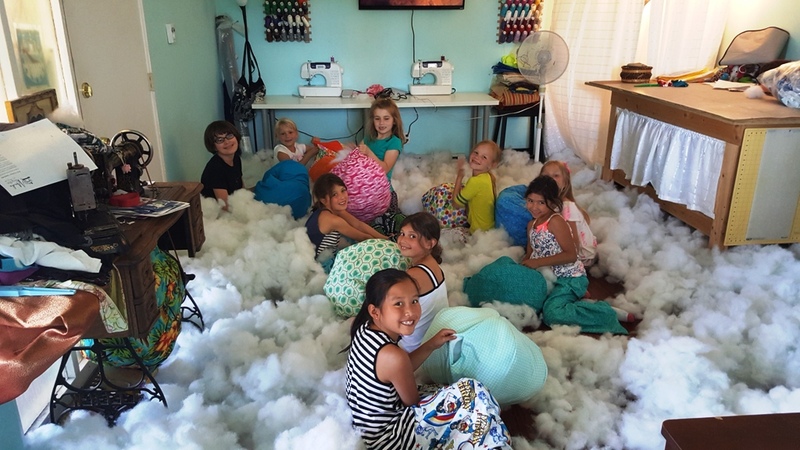 Located in Seattle's Greenwood neighborhood, Made's homey studio offers fun two- and three- day sewing-project camps, where budding fashion designers can earn their chops on gardening aprons and PJs, develop skills through fabric design and doll clothes, or go for straight for grown-up fashion design camp. Arts Aloft was started by a mom-and-daughter duo and moved from the family home to a cute studio in Seattle's Madrona neighborhood in 2009. Summer camps, for kids age 4.5 to 10, offer access to as many media as possible so young artists will find a medium that works best for them. Cost: 4-day camps (Monday–Thursday) cost $325. Black Horse Art School and Studio combines art... and horses! Kids start the day creating beautiful artwork in a variety of media, then finish the day spending time learning to care for art-inspiring equine friends. Cost: Camp sessions are $545/week with a discounted short week for fourth of July. This Redmond camp lets campers entering grades 5 to 12 dive into gaming and engineering topics like game design, animation, robotics and more. Other workshops for grades 1 to 4 explore gaming topics and robotics. Cost: Camp tuition is $699 for one-week sessions, $1,349–$1,549 for two-week sessions, and up to $2,699 for the pre-college program for high school juniors and seniors. Girls Rock offers nine locations all over the Puget Sound for campers entering grades 1 to 6 explore math in fun and creative ways. Through art activities, games and songs, kids learn about cool math concepts (π! Sierpinski Triangles!). Each location has a unique approach, and each camp session has its own theme. Cost: The full-day camps cost $335–$350. Some camps offer extended camp hours. These day and overnight camps are offered for ages 7 to 18 give future computer students experience on a university or independent school campus. Technology camp topics include web design, coding, Minecraft modding, and more. Cost: Camp prices vary by location and duration. For instance, camps held at the University of Washington range from $899 to $3,999. 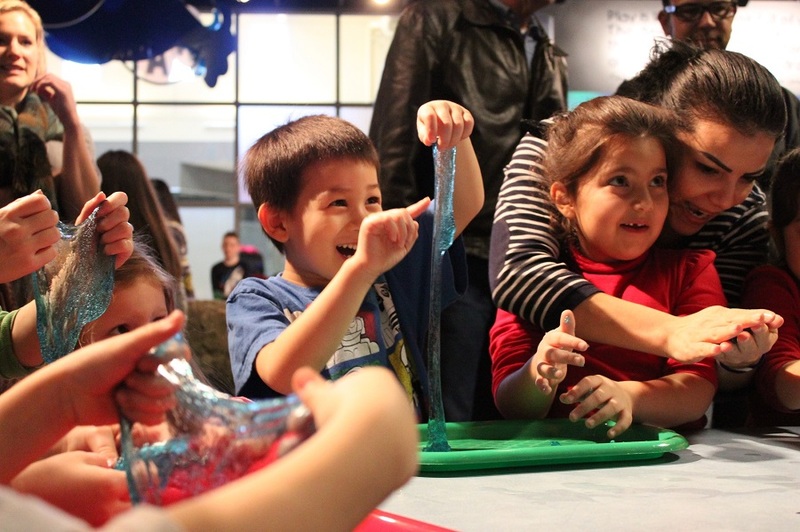 Pacific Science Center has more than 60 programs planned for this summer. Camps for pre-K to grade 12 kids are held at multiple locations, including Seattle and the Mercer Slough Environmental Education Center, as well as locations in West Seattle, Shoreline and Mountlake Terrace. 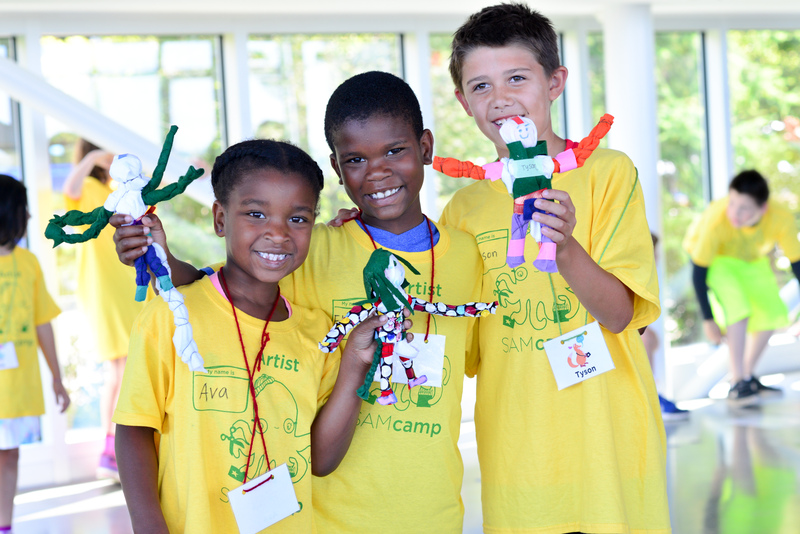 Camp topics range from preschool science experiments to a robot workshop to spy science, one of the most popular camps at PSC. Cost: Prices vary by grade level, time and location. Check the website for cost and registration details. Early bird registration available through April 30. This new STEM educational center, which opened in the summer of 2016, offers a range of camps and classes for kids ages 4 to 12 that are designed to give kids fun, hands-on, inquiry-based experiences in science. It offers week-long camps all summer with themes ranging from "How It's Made" to "Mixing Madness: Chemistry for Kids." Cost: Prices range from $299–$499, with discounts for siblings and for signing up for multiple weeks. KidsQuest hosts STEAM camps at Bear Creek School Valley Campus, where kids age 4 up to grade 3 can do full- or half-day camps exploring everything from glow-in-the-dark phosphorus to nanotechnology to hydraulics and circuits. Cost: Cost range from $225–$425 depending on age and length of camp day; discount available to museum members. SCM offers non-stop summer fun with its “Discovery Days” single-day camps for kids as young as age 4. Days can be combined to fit any schedule; a week, a day at a time, the whole summer or half-days, which might suit preschoolers new to camp. Cost: Summer camp pricing coming soon. Previous camps have cost $35–$45 per half-day or $80 per full-day. This popular youth theater offers camp programs for many ages and tots are not left out. Camp for ages 3 to 5 include "Moana" and "The Lion King." Cost: Week-long half-day camps cost $235. Pedalheads offer a Trikes 'N' Trainers program, as well as a balance-bike program for kids turning 3 during the calendar year. These week-long programs focus on fun and building confidence, for an hour each day. Cost: Cost is $119/week. 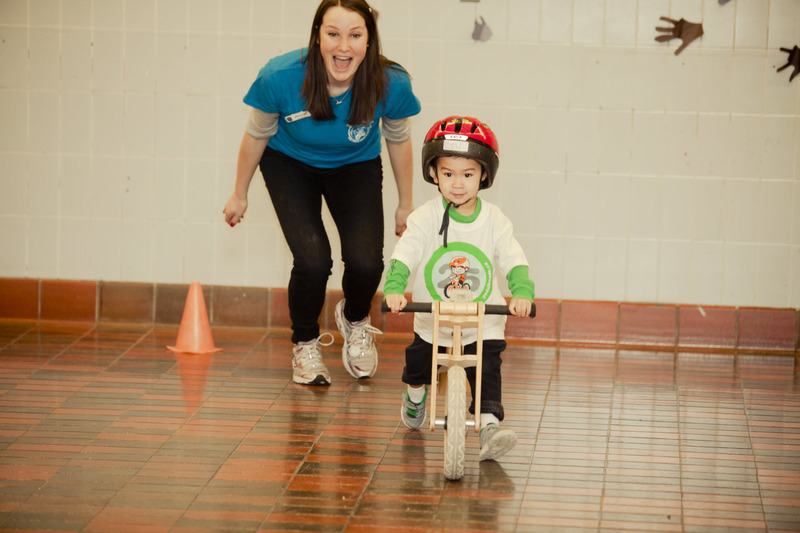 Kids turning 4 or 5 in the calendar year can also enroll in the first three skill levels of the pedalhead camps, which start with complete beginners on up to those fully independent and ready to learn road safety rules. Wedgwood offers a number of popular theater camps in northeast Seattle, including drama-camp sessions for preschoolers. Kids will have a blast playing dramatic group games, making outdoor art, going on scavenger hunts, and singing songs. Cost: Camps run from 9 a.m.–3 p.m. and cost $144–$265. Hands On Children’s Museum, Olympia. HOCM gives preschoolers and older kids lots of opportunities to tinker with STEM concepts, including build, touch, tinker, dig, play, stack, drop, mix, craft and investigate with their hands, minds and bodies. Cost: Camp schedule and pricing not yet available. Check website for updates. Tilth Alliance (formerly Seattle Tilth) has summer parent-child programs for kids as young as 1 year old. Check out "Fun with Flowers" where you and your 1- to 2-year-old can taste and then paint with edible flowers. For ages 3 to 5, "Fantastic Farmers" is a fun option. Cost: $20–$50; discount for members. Note: Both of these camps are currently full. Check website for cancellations. 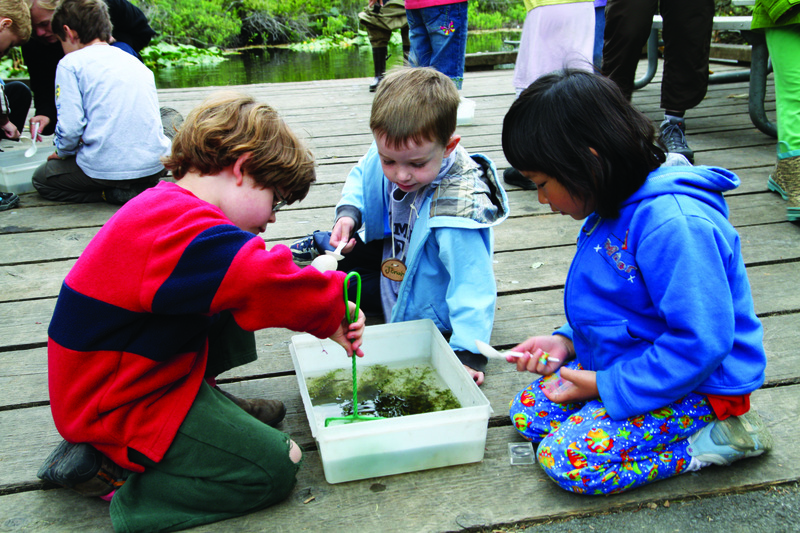 Bainbridge Island location (255 acres of forest rails and wetlands) offers summer camps for kids age pre-K through kindergarten run by experienced environmental educations. Each week has a different theme, from "Super Critters" to "The Enchanted Forest." Cost: Pre-K and kindergarten camps run 3 hours (9 a.m.–noon or 1–3:30 p.m.) and cost $200. KidsQuest lets little campers discover scientific, art or nature principles cleverly disguised as fun at KidsQuest's "Explorer" half-day camp for kids ages 3 to 5. Campers must be able to use the restroom independently. Cost: $225; discount for members. The Seattle area has many options for sleep-away camp are plentiful at popular Northwest institutions, including Camp Sealth, YMCA Camp Seymour, Girl Scout Camp St. Albans, Canoe Island French Camp and Camp Solomon Schechter. Wilderness Awareness School offers popular day camps as well as several week-long overnight camps for ages 11 to 18. Themes include Scouting, Survival, Wolf Tracking, and newly added Bow Crafting. Camp Gallagher, located near Lakebay in South Puget Sound, offers confidence-building overnight camps for middle school and high school kids with plenty of typical typical summer camp activities as well as the chance to plan their own group excursions. Camp Orkila, a YMCA camp, welcomes campers entering grades 3–12 to its scenic spot on Orcas Island, with traditional camps as well as specialty weeks, with themes ranging from horseback riding to digital media to skateboarding. Camp River Ranch, in Carnation, is a Girl Scout camp in the foothills of the Cascades, on 435 acres, with plenty of room to stretch those muscles and those leadership skills. Camp Robbinswold is another well-loved overnight Girl Scout camp, located on Hood Canal, with saltwater beaches and wooded hills perfect for hiking. Hidden Valley Camp, a small camp in the North Cascades, is another popular camp for kids ages 7 to 16, with horseback riding and many traditional camp activities. YMCA Outdoor Leadership Development program is a wonderful option for teens, with a boys’ program (called BOLD) that invites high school-aged boys to a camp called “The Lyrical Chef: Backpacking, Cooking, and Music”. The girls’ program (GOLD) offers a camp called “Rock Smith Rock! A Climbing Adventure to Smith Rock, Oregon” for grades 9 to 12. YMCA Leadership coordinates other camps for grades 6 and up, some co-ed, each with activities around mountains, hiking, backpacking, fishing, art, rafting, or just goofing off. Camp prices vary. Editor's note: This article has been updated for 2018.